These shouldn’t be a problem. Happy challenge day! It’s Thursday, so that means there’s a fresh set of challenges in Fortnite: Battle Royale. 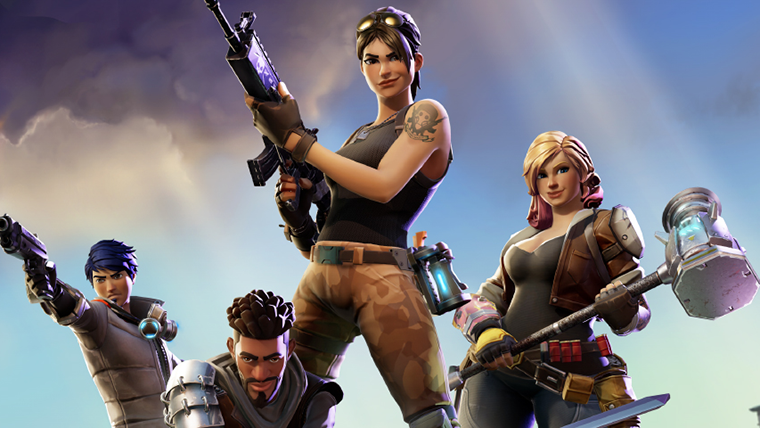 There’s seven total, and you can gain 50 Battle Stars and 8,000 XP for completing them all. Sadly, this week’s challenges are pretty standard, so there’s nothing too funky going on. But Epic Games did bring back the multi-stage challenges, albeit with elimination locations instead of chests. Let’s take a look at what this week’s challenges look like. Placing traps is pretty easy, huh? You’ll just need to find 10 of them and place them literally anywhere for 10 easy Stars. Searching chests in Wailing Woods can be pretty annoying. There aren’t a lot of potential chest spawns, about 10 of them, and they’re pretty spread out. They bunch up a lot in the middle of the area, in the hedge maze, but other than that, they can be found in random pickup trucks and ditches spread around the wooded area. Shotgun eliminations. Get out there, whip out your shotty, and put in some work. Which shotgun should you choose? Have no fear, we have a guide for that. To deal damage with a pickaxe to opponents, you can do two things—Run at your enemy swinging wildly like a madman, or hit them when they’re downed in Duos or Squads. Here’s a map of Rifts located around the island. You’ll need to hit 10 different ones, and that shouldn’t be a problem. 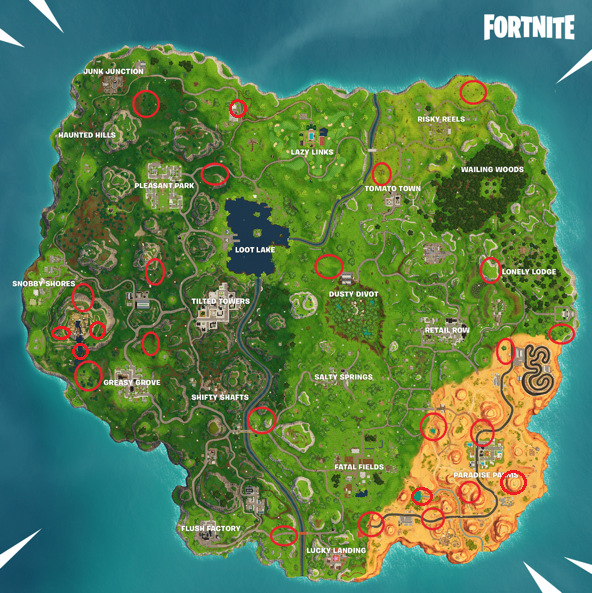 Many of the circled locations have multiple Rifts within them or in the vicinity. 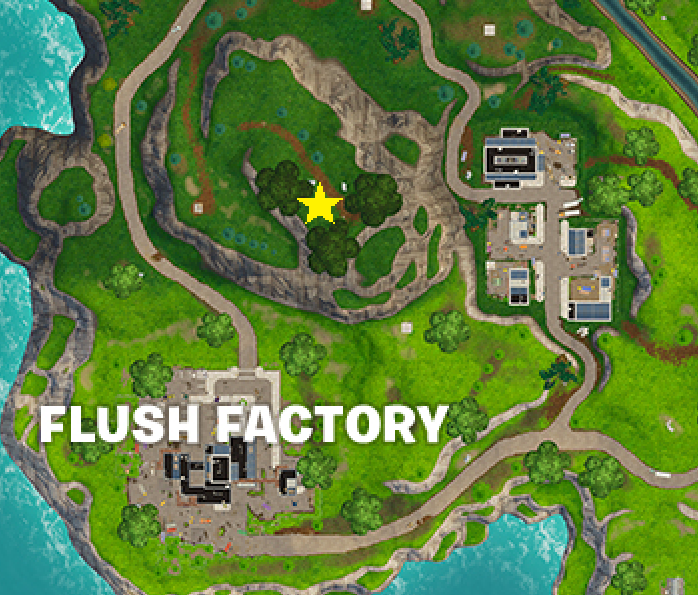 To search between three oversized seats, head to this hill to the north of Flush Factory, in the center of three big trees. Finally, this week’s multi-stage challenge sends you to multiple locations to get eliminations. First, get a kill at Greasy Grove. Then, move to Lonely Lodge for some action, and finally, finish it out at Fatal Fields.